A couple of weeks ago I found myself attending a poetry reading / poetry slam at a local coffee shop in downtown Middletown. I had been there once before, and thankfully nothing had changed, books still lined the walls and the place just smelt like somewhere you wanted to be. In high school I was very much into writing poetry and although I’ve fallen away it I decided to give this reading a try. The event, I thought, was put on well in that it was very organized and seemed as professional as a small coffee shop poetry reading could be. There were signups for all poets, who then got numbers and were given time slots. The judges, placed ever so conveniently in the front row, were introduced to everyone along with how they would be scoring. The panel of judges, only made up of three, were a diverse group made up of a couple well known attendees of the poetry scene and a creative writing teacher. All rules were read off and made very clear, and there were even rules for the audience. 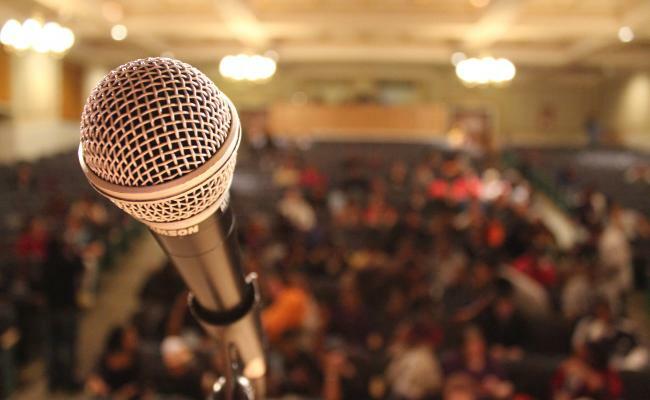 If you’ve been to a poetry slam you would know that instead of clapping the audience is encouraged to snap for something they really enjoy either after the poem or during it. The event was all in good fun, it didn’t seem to me to be a huge deal to any of the contestants. No one was taking it in all full seriousness leading me to believe winning wasn’t something that pushed anyone into stardom or gave them a huge prize. I enjoy these events, people are not there to compete to win but to go do something they are very passionate about with people who love it as well. Watching the poets was a lot of fun. Each one had their own style and delivered their poetry very well. I couldn’t help but be brought back to my first visit to this venue, flustered with eyes and ears wide as can be. My favorite poet of the night, a small pale young lady, was eager to get her words across but delivered them with such force and It reminded me of my days in high school where I was a small nervous kid reading off his paper on stage. Delivering something you wrote to a crowd of people is never an easy thing to do and that is why I give the contestants my highest regard. I remember seeing one particular poet read his work like he had lived every single moment and word of what was being sad. I don’t think anyone doubted him on that either. It was in fact his delivery and the way he looked into the audience belting his heart and soul making the listener feel every word. It brought me back and made me smile just like all of the poets on stage that day did. To me it’s a funny thing to be able to get up there and give yourself up like that for 3 or so minutes. It’s a terrifying thing, but the rewards are wonderful. That brings me to the part of the gathering that literally made my skin boil. As I previously mentioned there are rules during the slam that include both the contestants and the audience. It is common courtesy to clap for people who have messed up per say or fumbled with their words. It is also encouraged to snap for whatever you enjoy. At the end of what seemed to be every poem that was performed the audience seemed as if they were dead like skeletons propped up in their chairs. I mean I’ve never seen anything like this in my life, and need I inform you I went a high school filled with people who were too good to give anyone else a sign of respect. At my high school poetry class an auditorium filled with students would yell out the most disrespectful comments and refrain from giving a beautiful poem the respect it deserved. Needless to say this event really ground my gears. If a room full of people no more than 25 in attendance, including the poets, couldn’t respond positively to a poem then I’m not even sure about anything anymore. What really got me though was the fact that these audience members came out themselves, not because they were forced but because they wanted to go into a small coffee shop on a Sunday afternoon to listen to people perform their poetry. Overall I’d say that the event was put on very well. All the poets, the owners of the venue, and the people who put on the event were all great, wonderful people. I feel compelled to inform the reader that they should consider attending a poetry slam in the future. They are very much a great chance to open your mind to beautiful poetry and a fun afternoon filled with people passionate about something (something we lack these days). Just because this particular event left myself angered I would recommend looking past this disrespectful audience because out of all the poetry slams I’ve been to this one was the only where I’d seen such a thing happen. Especially if you are a poet yourself and have considered participating in a slam I would say go for it. The adrenaline rush you get after reading something you wrote yourself is something in of itself. Also, unlike this particular event, the response you get from the people in the crowd and your fellow poets is probably the best thing about it. When audience members do what they are supposed to do it can put a smile and butterflies in your stomach faster than it would be to walk out the front door. Poetry slams are fun, creative events for those who enjoy art, and 99 times out of 100 the people who attend are lovers and supporters of all things poetry.